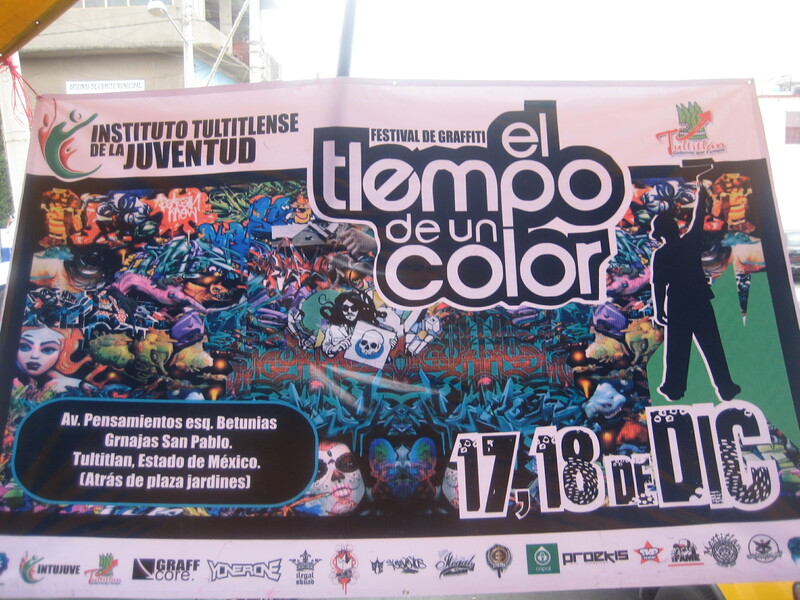 I got to paint at a very cool jam called “El tlempo de un color” just outside Mexico City this December. There where so many good pieces and some amazing characters being painted by some of the area’s best graf artists, it was really inspiring. 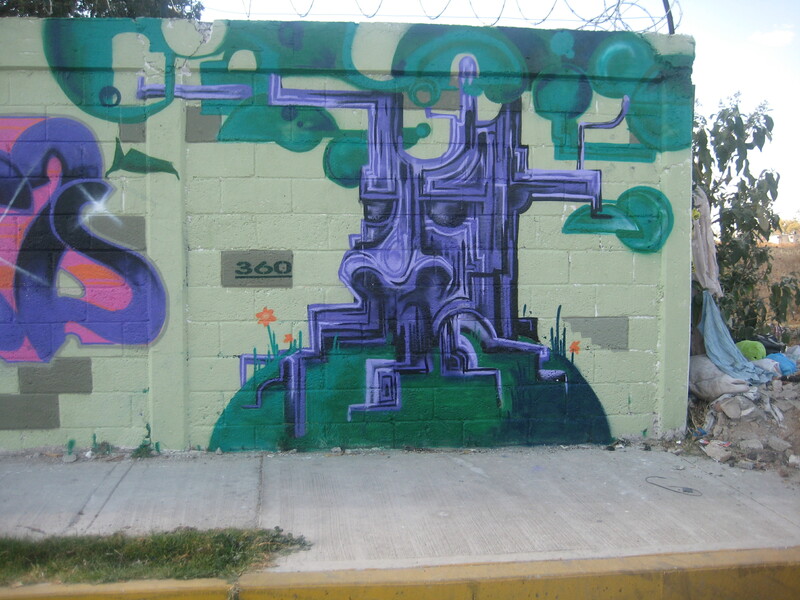 I did the Beloved piece the first day and the tree the second in like 3 hours. I really loved painting with the rappers and dj throwing down although I was happy to be at the corner, where I could stare out across a field at the projects across the way which was peaceful. I’m not to fond of having people watch me paint, but I did like having the neighborhood people and children stop and chat with me. The middle of the street at this 2+ block event was filled with skate ramps which really added to the show. Thanks to Swer for his hospitality and Ekla for the help getting around the DF. I’ve included flicks of some of the other women who were painting, (what a great feeling to see so many females coming correct!) as well a flicks of my work, I wish I had more pictures to share cause as I said there was some really creative stuff, but I guess I was too busy painting to document properly. I’ll do better next time. I can’t wait to go back! !